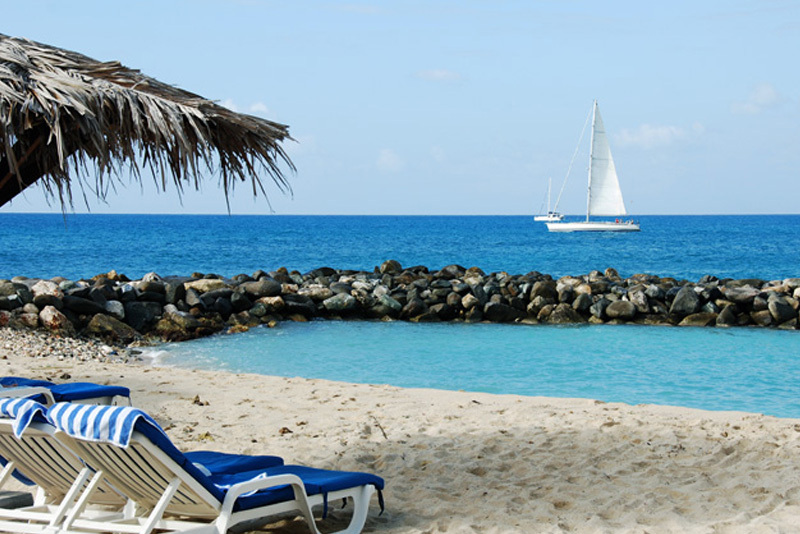 Simpson Bay Resort & Marina or just "The Resort" offers 272 spacious fully renewed and fully equipped suites, most of which have views of Simpson Bay and the Caribbean. 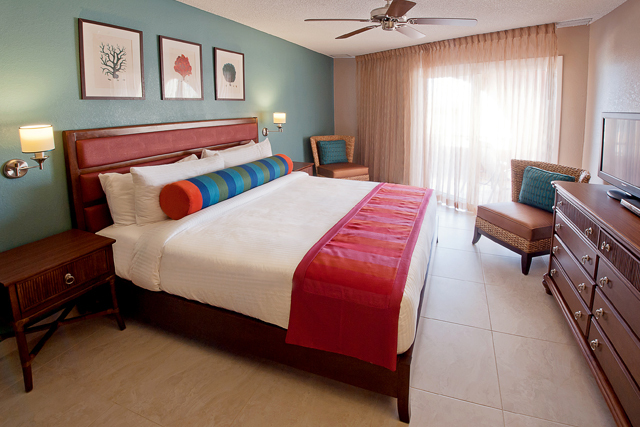 Tastefully decorated on a tropical theme, all units have kitchens, ceiling fans and air-conditioning in the bedrooms. 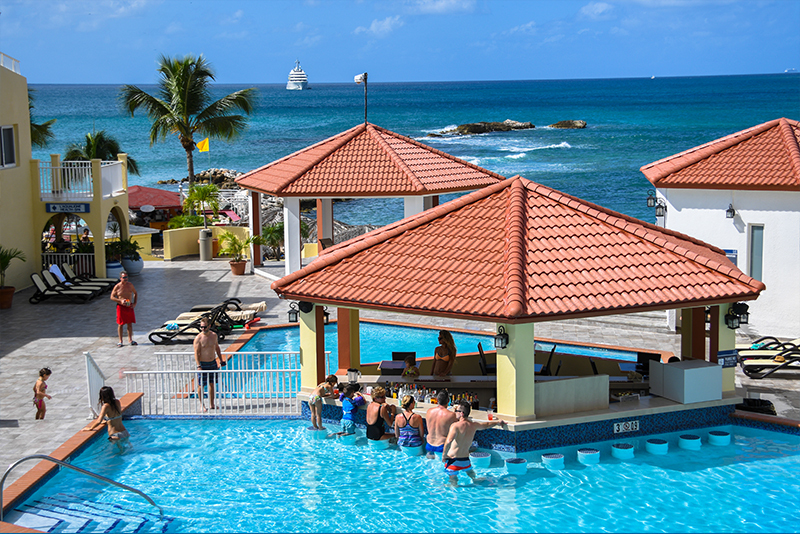 There is also a terrace or balcony for al fresco dining or a sunset cocktail. 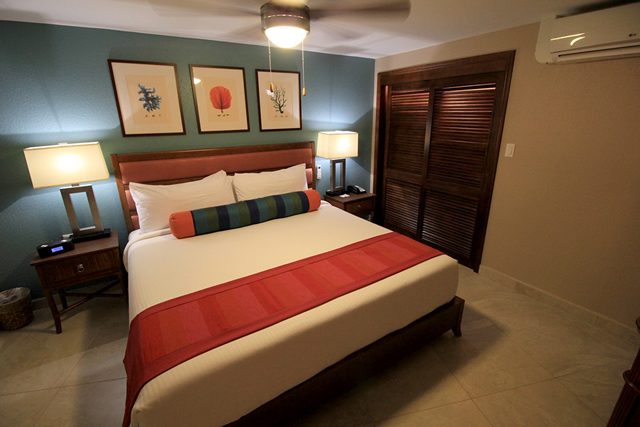 Simpson Bay Resort & Marina has the right size unit for you and your family: studios sleeping two, one and two-bedroom units sleeping four and six respectively and a few three-bedroom units accommodating up to eight people. 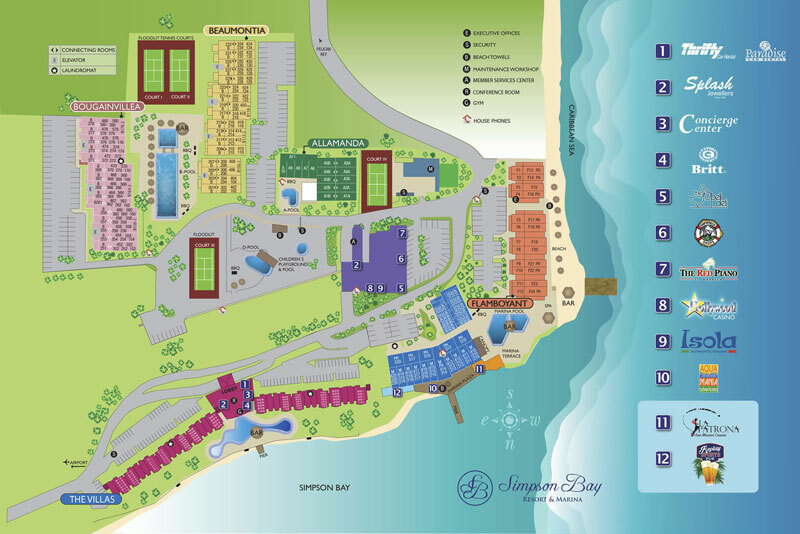 You might be interested also in The Villas, the newest section of Simpson Bay Resort & Marina. 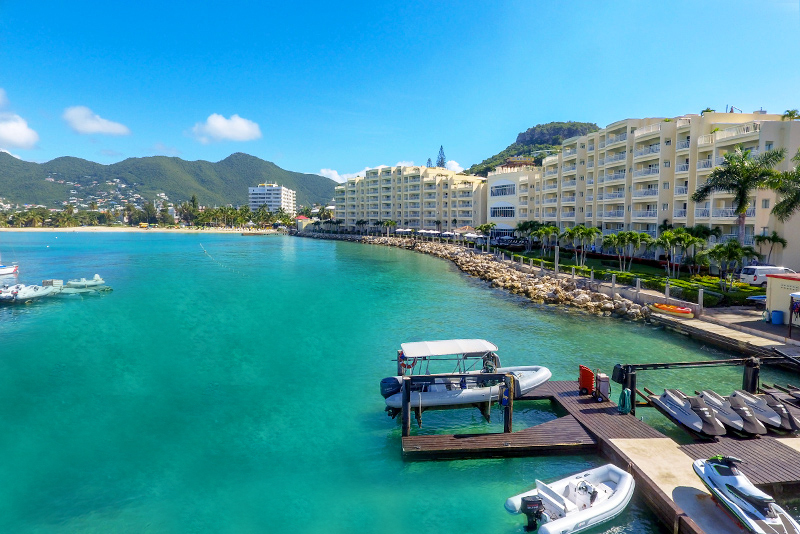 Book your stay in St. Maarten online now! 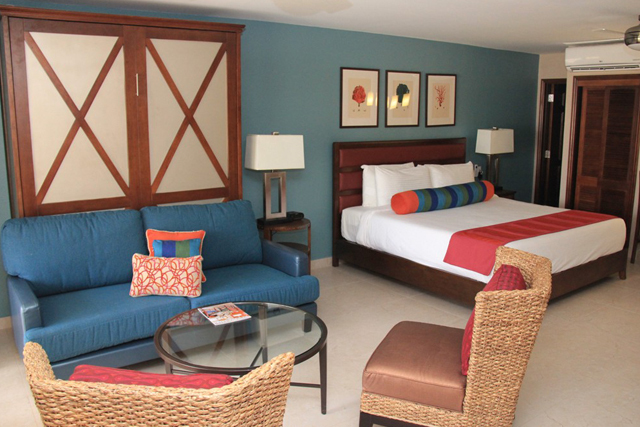 This is a bay view Deluxe Three Bedroom Suite with 3 King size beds & 2 Twin Murphy Beds. 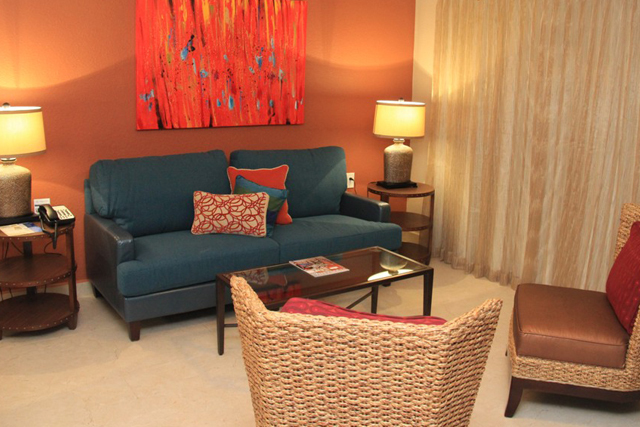 Complimentary wireless Internet access keeps you connected. 32-inch LCD TV’s and DVD player. 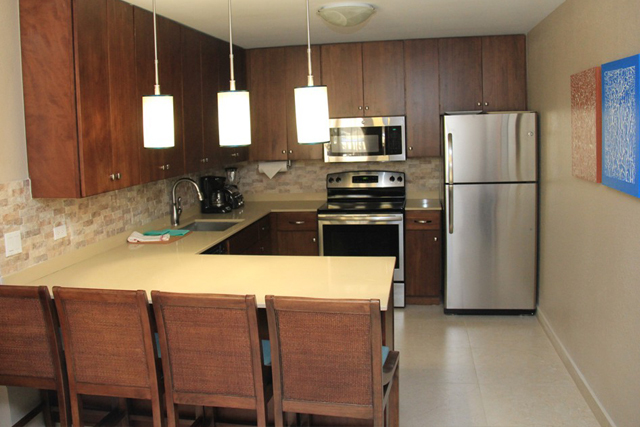 The in-room kitchen includes a refrigerator, a stove with oven, and a microwave. Two of the three private bathrooms have a walk-in shower and a shower in the third bathroom, as well as a hair dryer and a makeup/shaving mirror in all three bathrooms. 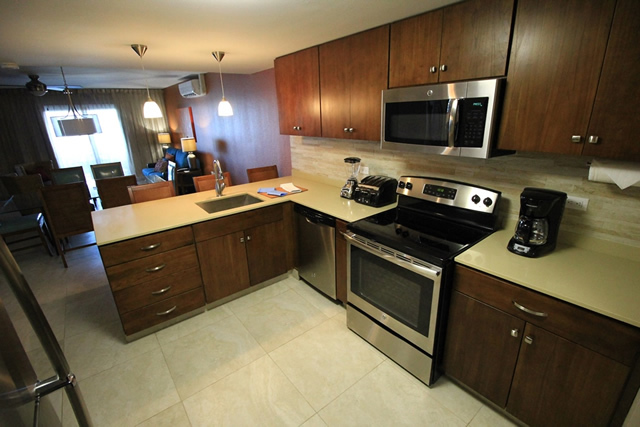 This unit has a jacuzzi and a massive terrace facing the ocean. 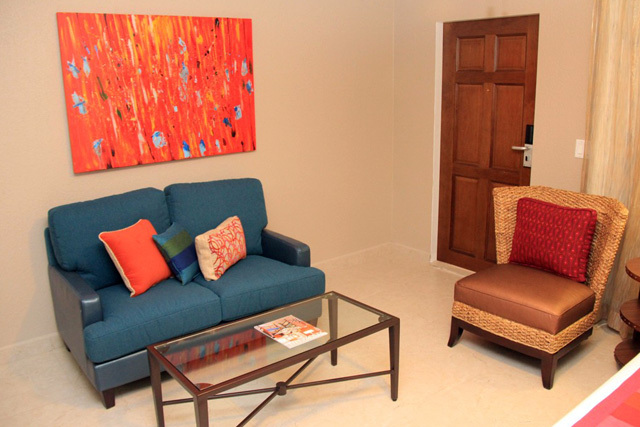 Air conditioning, and a separate living room are among the conveniences offered. This room is Non-Smoking. 2 King Bed & 1 Queen or 2 Twin Murphy Beds. 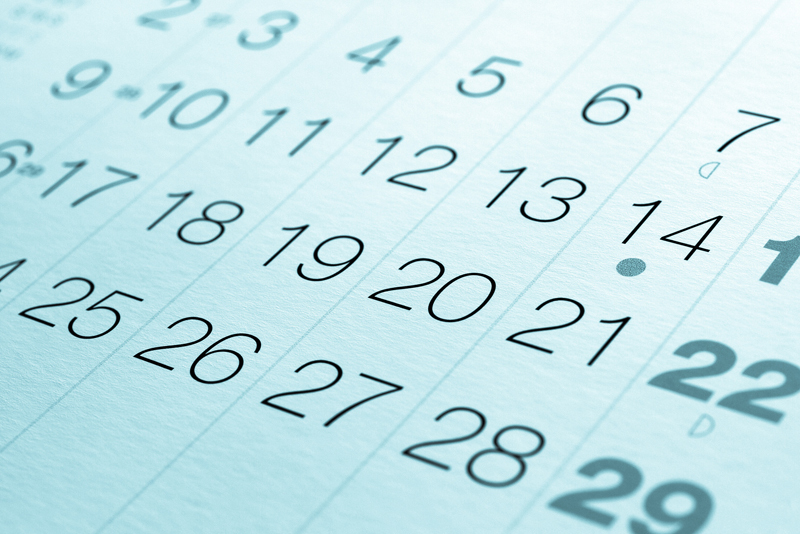 Complimentary wireless Internet access keeps you connected. 32-inch LCD TV and DVD player. 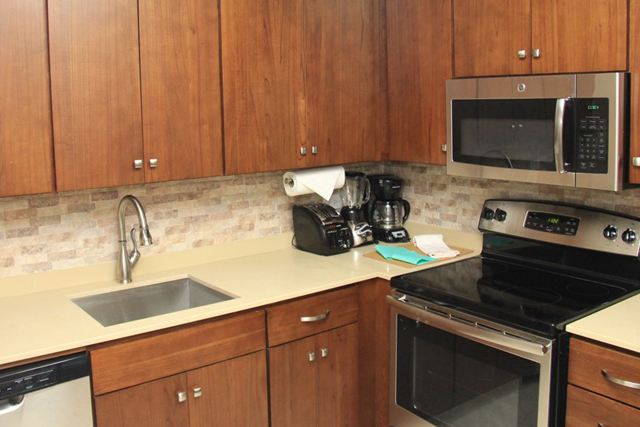 The in-room kitchen includes a refrigerator, a stove with oven, and a microwave. 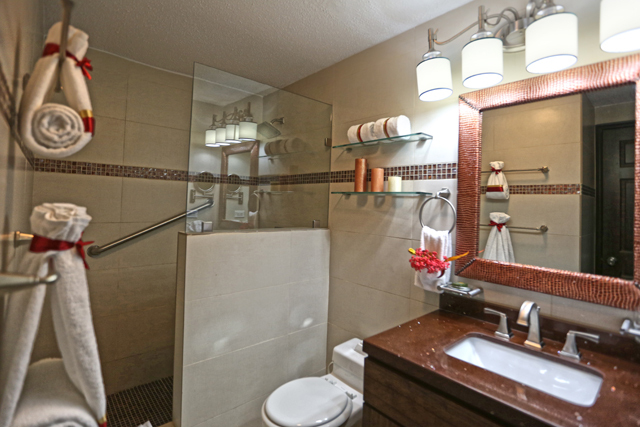 The private bathroom has a walk-in shower, as well as a hair dryer and a makeup/shaving mirror. 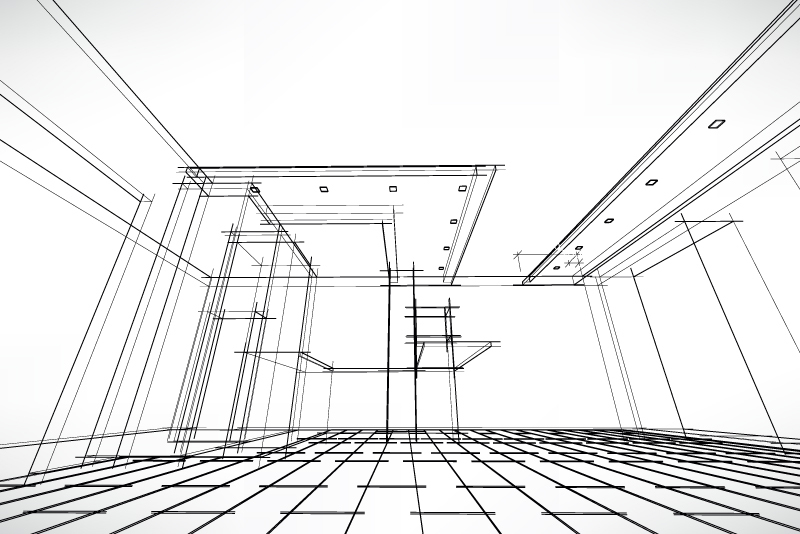 A second bathroom, air conditioning, and a separate living room are among the conveniences offered. This room is Non-Smoking. 1 King Bed & 1 Queen or 2 Twin Murphy Beds. 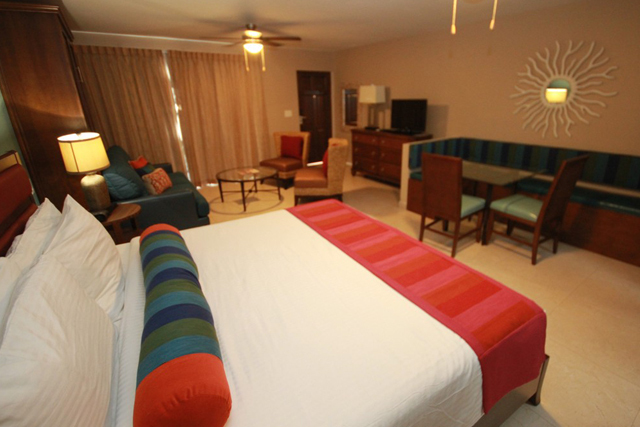 This room offers complimentary wireless Internet access to keep you connected, and satellite channels are offered for your entertainment. 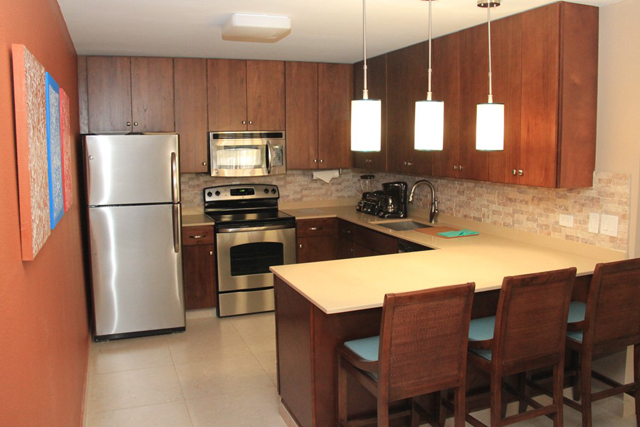 The in-room kitchen includes a refrigerator, a stove with oven, and a microwave. 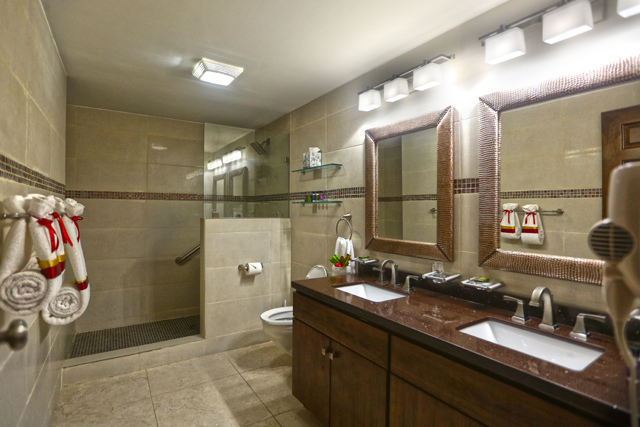 The private bathroom has a walk-in shower, as well as a hair dryer and a makeup/shaving mirror. 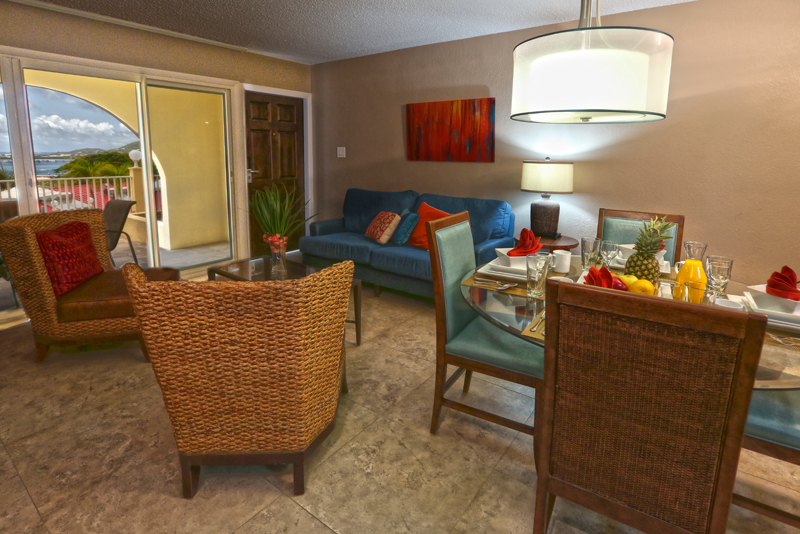 One queen or two twin murphy beds, air conditioning, and a separate living room are among the conveniences offered. This room is Non-Smoking. 1 King Bed & 1 Murphy Bed. 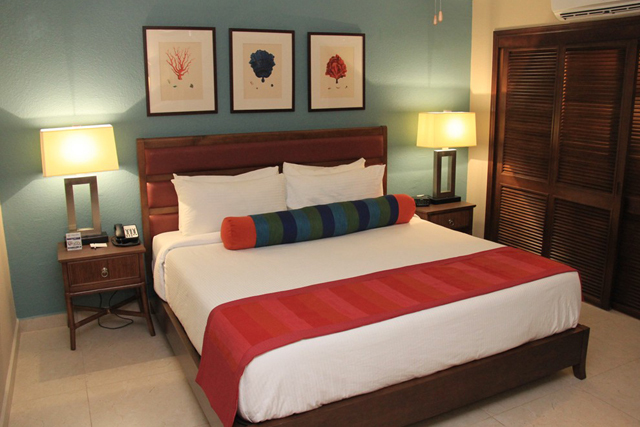 This room offers complimentary wireless Internet access to keep you connected, and satellite channels are offered for your entertainment. 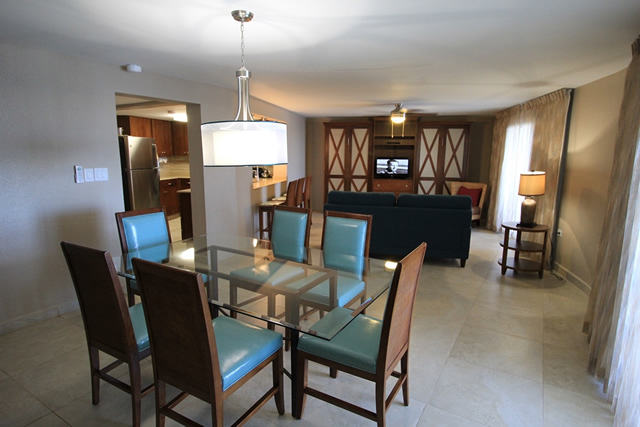 The in-room kitchen includes a refrigerator, a stove with oven, and a microwave. 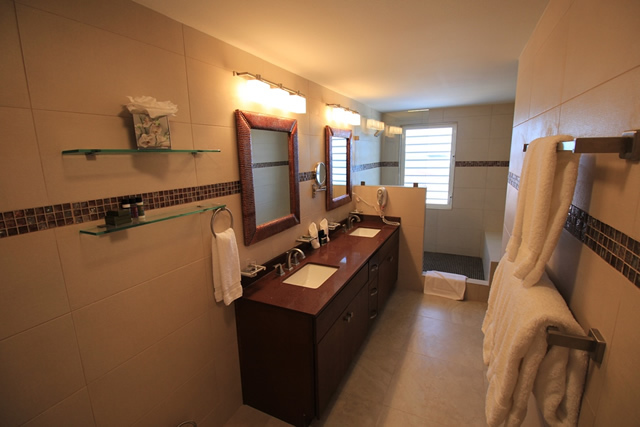 The private bathroom has a walk-in shower, as well as a hair dryer and a makeup/shaving mirror. 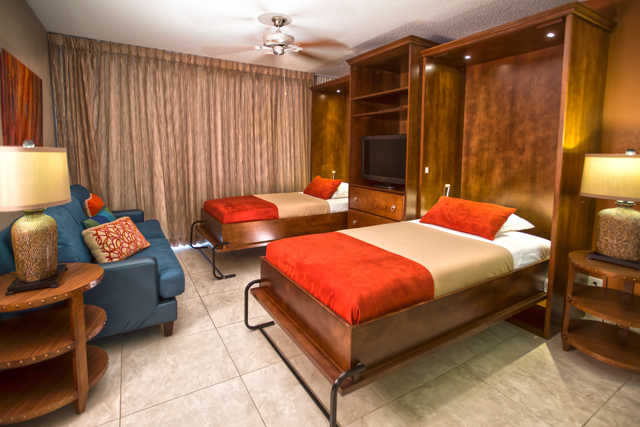 Air conditioning and a Queen Murphy bed are among the conveniences offered. This Non-Smoking room was recently renovated. 1 King Bed. 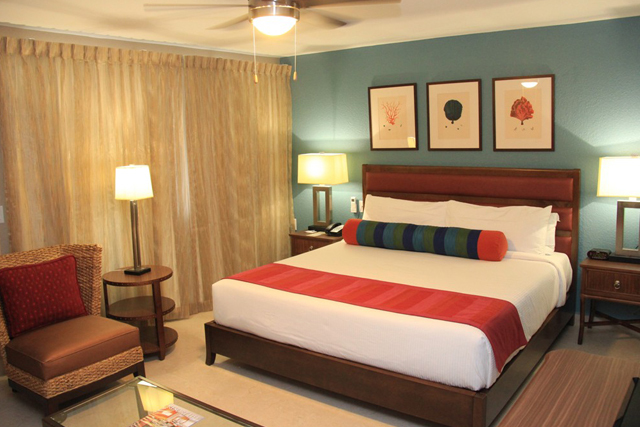 This room offers complimentary wireless Internet access to keep you connected, and there is a 32-inch LCD TV. 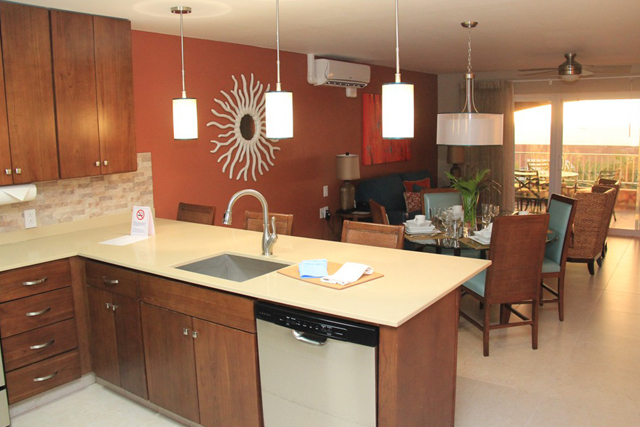 The in-room kitchen includes a refrigerator, a stove with oven, and a microwave. 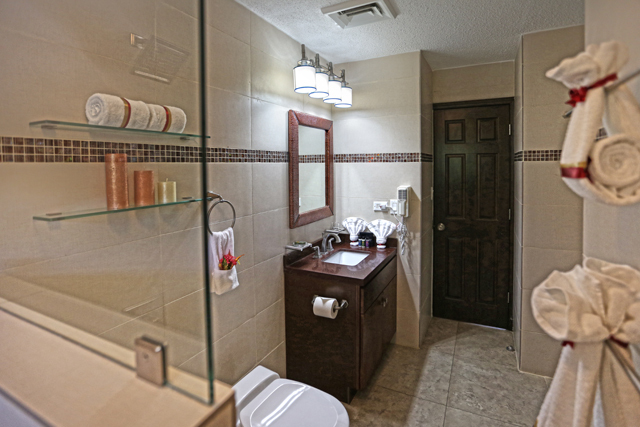 The private bathroom has a walk-in shower, as well as a hair dryer and a makeup/shaving mirror. 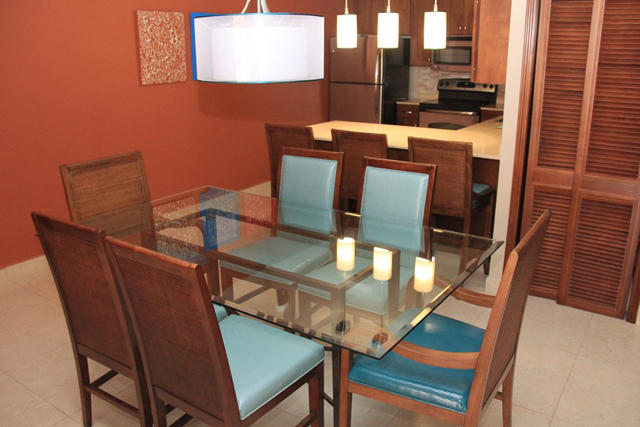 Air conditioning and ceiling fan are among the conveniences offered. This Non-Smoking room was recently renovated.